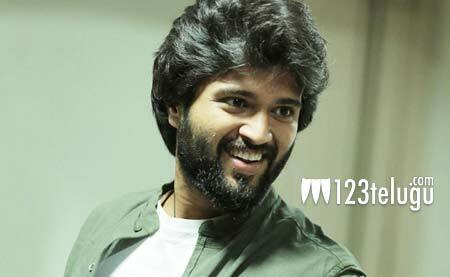 Vijay Deverakonda’s next film, Arjun Reddy, is releasing on August 25. The actor is also busy shooting for a romantic entertainer in Parasuram’s direction. Meanwhile, Vijay is all set to make his debut in music videos. According to the latest reports, Vijay is currently in Goa and is shooting for a music video being produced by popular music label T-Series. Vijay says he is just experimenting with the music videos format as he got some free time from movie shootings. This is T-Series’ first music video in Telugu. Noted music composer Mickey J Meyer has composed the song.